This agreement and the use of this website are governed by the laws of the State of New Mexico. Agreement - This Agreement, which includes the Fee Schedule and Enrollment Form, is a contract which establishes the rules which cover your electronic access to your accounts at Citizens Bank of Las Cruces ("BANK") through Citizens Online Banking ("SYSTEM"). By using SYSTEM, you accept all the terms and conditions of this Agreement. Please read it carefully. This Agreement is also subject to applicable federal laws and the laws of the State of New Mexico (except to the extent this Agreement can and does vary such rules or laws). If any provision of this Agreement is found to be unenforceable according to its terms, all remaining provisions will continue in full force and effect. The headings in this Agreement are for convenience or reference only and will not govern the interpretation of the provisions. Any waiver (express or implied) by either party of any default or breach of this Agreement must be in writing and shall not constitute a waiver of any other or subsequent default or breach. You may not assign this Agreement. This Agreement is binding upon your heirs and BANK’s successors and assignees. Certain of the obligations of the parties pursuant to this Agreement that by their nature would continue beyond the termination, cancellation or expiration of this Agreement shall survive termination, cancellation or expiration of this Agreement. This Agreement, together with the Enrollment Form and Fee Schedule, constitutes the entire agreement between you and BANK with respect to the subject matter hereof and there are no understandings or agreements relative hereto which are not fully expressed herein. Definitions - As used in this Agreement, the words "we," "our," "ours", "us," and "BANK" mean Citizens Bank of Las Cruces. "Customer, ""you" and "your" refer to the accountholder authorized by BANK to use SYSTEM under this Agreement and anyone else authorized by that accountholder to exercise control over the accountholder’s funds through SYSTEM. "Account" or "accounts" means your accounts at BANK. "Electronic funds transfers" means ATM withdrawals, preauthorized transactions, point of sale transactions, transfers to and from your BANK accounts using SYSTEM. "SYSTEM Services" means the services provided pursuant to this Agreement. "Business days" means Monday through Friday. Holidays are not included. SYSTEM Services - You can use SYSTEM to check the balance of your BANK accounts, view BANK account histories, transfer funds between your BANK accounts and make stop payment requests. Balance and activity information are available as of 6:00 p.m. (Mountain Time) of the previous business day. Hours of Access - You can use SYSTEM seven days a week, twenty-four hours a day, although some or all SYSTEM services may not be available occasionally due to emergency or scheduled system maintenance. We agree to post notice of any extended periods of non-availability on the SYSTEM web site. Your Password - For security purposes, you are required to change your password upon your initial login to SYSTEM. You determine what password you will use and the identity of your password is not communicated to us. You agree that we are authorized to act on instructions received under your password. You accept responsibility for the confidentiality and security of your password and agree to change your password regularly. Upon three unsuccessful attempts to use your password, your access to SYSTEM will be revoked. To re-establish your authorization to use SYSTEM, you must contact us to have your password reset or to obtain a new temporary password. PIN/Password Security - You are responsible for the security and confidentiality of any PIN or Password used to access any Citizens Bank of Las Cruces electronic transfer, including but not limited to, the ATM PIN, POS PIN, Debit Card PIN, Audio Response PIN, and Online Banking Password. You agree not to disclose or otherwise make available any PIN or Password to anyone not authorized to sign on your account(s). If you do disclose your Pin or Password to another, you have granted them authorization to use that device to make transfers. Until you notify us, that authorization will remain in effect. Telephoning us at (575) 647-4100 is the quickest way to revoke this authorization. We may request that you put this revocation in writing within 10 business days after first contacting us. If you fail to revoke this authorization, you may be liable for all transfers made by the authorized person, even if you were unaware of the transfers at the time they were made. We encourage you to change your PIN(s) and Password(s) from time to time for your own protection. You agree to follow prudent Internet security guidelines to prevent unauthorized persons from installing programs on your computer that would compromise your Online Banking Login and Password. Security - You understand the importance of your role in preventing misuse of your accounts through SYSTEM and you agree to promptly examine your paper statement for each of your BANK accounts as soon as you receive it. You agree to protect the confidentiality of your account and account number, and your personal identification information, such as your driver’s license number and social security number. You understand that personal identification information by itself, or together with information related to your account, may allow unauthorized access to your account. Your password and login ID are intended to provide security against unauthorized entry and access to your accounts. Data transferred via SYSTEM is encrypted in an effort to provide transmission security and SYSTEM utilizes identification technology to verify that the sender and receiver of SYSTEM transmissions can be appropriately identified by each other. Notwithstanding our efforts to insure that the SYSTEM is secure, you acknowledge that the Internet is inherently insecure and that all data transfers, including electronic mail, occur openly on the Internet and potentially can be monitored and read by others. We cannot and do not warrant that all data transfers utilizing BANK SYSTEM, or e-mail transmitted to and from us, will not be monitored or read by others. Fees and Charges - You agree to pay the fees and charges for your use of SYSTEM Services as set forth in the current fee schedule. You agree that all such fees and charges will be deducted from the BANK checking account designated as the "Primary Checking Account" on your Enrollment Form. If you close your Primary Checking Account, you must contact us immediately to designate another account as your Primary Checking Account. You agree to pay any additional reasonable charges for services you request which are not covered by this Agreement. You are also responsible for telephone, mobile, and Internet service fees you incur in connection with your use of SYSTEM. Posting of Transfers - Transfers initiated through SYSTEM before 6:00 p.m. (Mountain Time) on a business day are posted to your account the same day. Transfers completed after 6:00 p.m. (Mountain Time) on a business day, Saturday, Sunday or banking holiday, will be posted on the next business day. SYSTEM identifies transfers based upon the login ID of the user who made the electronic transfer. Accordingly, you understand and acknowledge that the View Postings screens in the Transfer menu options of SYSTEM will not reflect transfers made by multiple users from the same account if different login IDs are used. You agree to communicate with any other persons with authorized access to your accounts concerning any transfers from your accounts in order to avoid overdrafts. Stop-Payment Requests – You may initiate stop payment requests online via SYSTEM only for paper checks you have written on your BANK accounts. Online Stop Payment Requests are processed when actually received by the Bank in proper form. The stop payment must precisely identify the name of the payee, the check number, the amount and date of the check. If you make your stop-payment request online or by telephone, we may also require you to put your request in the form of paper writing and get it to us within 14 days after you initiate online or call. You will incur stop-payment charges as disclosed in the current fee schedule for the applicable account. Disclosure of Account Information and Transfers - You understand information about your accounts or the transfers you make may automatically be disclosed to others. For example, tax laws require disclosure to the government of the amount of interest you earn, and some transactions, such as large currency and foreign transactions, must be reported to the government. We may also provide information about your accounts to persons or companies we believe would use the information for reasonable purposes, such as when a prospective creditor seeks to verify information you may have given in a credit application. In addition, we routinely inform credit bureaus when accounts are closed because they were not handled properly. We may also seek information about you from others, such as the credit bureau, in connection with the opening or maintaining of your account or in connection with approving your access to SYSTEM. You agree to, and hereby authorize, all of these transfers of information. Periodic Statements - You will not receive a separate SYSTEM statement. Transfers to and from your accounts using SYSTEM will appear on the respective periodic statements for your BANK accounts. Change in Terms - We may change any term of this Agreement at any time. If the change would result in increased fees for any SYSTEM service, increased liability for you, fewer types of available electronic fund transfers, or stricter limitations on the frequency or dollar amount of transfers, we agree to give you notice at least 21 days before the effective date of any such change, unless an immediate change is necessary to maintain the security of an account or our electronic fund transfer system. We will post any required notice of the change in terms on the BANK SYSTEM web site or forward it to you by e-mail or by postal mail. If advance notice of the change is not required, and disclosure does not jeopardize the security of the account or our electronic fund transfer system, we will notify you of the change in terms within 30 days after the change becomes effective. Your continued use of any or all of the subject SYSTEM Services indicates your acceptance of the change in terms. We reserve the right to waive, reduce or reverse charges or fees in individual situations. You acknowledge and agree that changes to fees applicable to specific accounts are governed by the applicable deposit agreements and disclosures. In Case of Errors or Questions about Your Electronic Transfers - Call us or write to us as soon as you can if you think your statement or receipt is wrong or if you need more information about a transfer listed on the statement or receipt. We must hear from you no later than 60 DAYS after we sent you the FIRST statement on which the problem or error appeared. 2. Describe the error or the transfer you are unsure about and explain as clearly as you can why you believe it is an error or why you need more information. If you tell us orally, we may require that you send us your inquiry in writing within 10 business days. We will determine whether an error occurred within 10 business days after we hear from you and will correct any error promptly. If we need more time, however, we may take up to 45 days to investigate your complaint or question. If we decide to do this, we will credit your account within 10 business days for the amount you think is in error, so that you will have the use of the money during the time it takes us to complete our investigation. If we ask you to put your complaint or question in writing and we do not receive it within 10 business days, we may not credit your account. For errors involving new accounts, point-of-sale, or foreign-initiated transactions, we may take up to 90 days to investigate your complaint or question. For new accounts, we may take up to 20 business days to credit your account for the amount you think is in error. We will tell you the results within three business days after completing our investigation. If we decide that there was no error, we will send you a written explanation. You may ask for copies of the documents that we used in our investigation. If any electronic terminal, telecommunications device, or any part of the SYSTEM electronic fund transfer system is not working properly when you attempted to initiate the transfer and you reasonably suspected that there was a problem or that your transfer might not have been initiated, but you failed to notify us. If you have not properly followed the on-screen instructions for using SYSTEM or you fail to receive a transaction confirmation screen. Your Liability for Unauthorized Transfers - CONTACT US AT ONCE if you believe your password has been lost, stolen, used without your authorization, or otherwise compromised, or if someone has transferred or may transfer money from your accounts without your permission. An immediate telephone call to us is the best way to reduce any possible losses. You could lose all the money in your accounts (plus your maximum overdraft line of credit, if any). If you contact us within 2 business days after you learn of the loss, theft, compromise, or unauthorized use of your password, you can lose no more than $50 if someone used your password without your permission. Our Right to Terminate – You agree that from time to time we may limit access to SYSTEM services to perform routine hardware or software maintenance and for similar purposes. Without prior notice, if you have insufficient funds in any one of your BANK accounts. SYSTEM service may be reinstated, at our sole discretion, once sufficient funds are available to cover any fees, pending transfers, and debits. Upon 3 business days' notice, if you do not contact us to designate a new Primary Checking Account immediately after you close your Primary Checking Account. Consent to Electronic Delivery of Notices - You agree that any notice or other type of communication provided to you pursuant to the terms of this Agreement, and any future disclosures required by law, including electronic fund transfer disclosures, may be made electronically by posting the notice on the BANK SYSTEM web site or by e-mail. You agree to notify us immediately of any change in your e-mail address. This Agreement contains the terms and conditions for the use of Citizens Online Bill Payment Service that Citizens Bank of Las Cruces (“Citizens Bank”, “us,” or “we”) may provide to you (“you,” or “User”). Other agreements you have entered into with Citizens Bank, including the Depository Agreement and Disclosures governing your Citizens Bank account, are incorporated by reference and made a part of this Agreement. Note: All references to “Bill Payment” and/or “the Service” refer to the Bill Payment Service offered by Citizens Bank of Las Cruces. By providing the Service with the names and account information of those persons or entities to whom you wish to direct payment, you authorize the Service to follow the payment instructions that it receives from you through the software program. When the Service receives a payment instruction, you authorize the Service to charge your transaction account on the selected Payment Date and remit funds to the designated payee on your behalf. While it is anticipated that most transactions will be processed and completed on the day of your selected Scheduled Payment Date and arrive approximately five (5) business days after your selected Scheduled Payment Date, it is understood that due to circumstances beyond the control of the Service, particularly concerning delays in handling and posting payments by slow responding companies or financial institutions, some transactions may take a day or even a few days longer to post to your account with the designated payee. For this reason, it is recommended that all Scheduled Payment Dates selected by you for paper check payments be five (5) business days before the actual due date, not the late date and/or grace period, and that all Scheduled Payment Dates for electronic payments be three (3) business days before the actual due date, not the late date and/or grace period. Circumstances beyond the Service’s control (such as, but not limited to, fire, flood, interference from an outside force) prevent the proper execution of the transaction and the Service has taken reasonable precautions to avoid those circumstances. Provided none of the foregoing six (6) exceptions to the Service performance obligations are applicable, if the Service causes an incorrect amount of funds to be removed from your transaction account or causes funds from your transaction account to be directed to a person or entity that does not comply with your payment instructions, the Service shall be responsible for returning the improperly transferred funds to your transaction account and for directing to the proper recipient any previously misdirected payments or transfers. Note: Payment of taxes or court-directed payments through the Service is prohibited. THE SERVICE AND ANY RELATED DOCUMENTATION ARE PROVIDED “AS IS” WITHOUT ANY WARRANTY OF ANY KIND, EITHER EXPRESS OR IMPLIED, INCLUDING, BUT NOT LIMITED TO, THE IMPLIED WARRANTIES OF MERCHANTABILITY AND FITNESS FOR A PARTICULAR PURPOSE. You agree not to give service account access to any unauthorized individuals. If you believe that someone may attempt to use the Service without your consent or has transferred money without your permission, you must notify the Service at once by calling a (575) 647-4100 during normal banking hours. If your monthly statement contains transfers that you did not make, notify us at once. If you do not notify us within sixty (60) days after the statement was mailed to you, you may lose any amount transferred without your authorization after the sixty (60) days if we can prove that we could have stopped someone from taking the money had you told us in time. If you think your statement is wrong or you need more information about a transfer listed on the statement, we must hear from you no later than sixty (60) days after you received the first statement on which the problem or error appeared. If you tell us orally, we may require that you send your complaint or inquiry in writing within ten (10) business days. We will tell you the results of our investigation within ten (10) business days after we hear from you, and will correct any error promptly. If we need more time, however, we may take up to 45 days to investigate the complaint or question. If we decide to do this, we will re-credit your account within ten (10) business days for the amount you think is in error, so that you will have use of the money during the time it takes us to complete our investigation. If we ask you to put your complaint or question in writing and we do not receive it within ten (10) business days, we may not re-credit your account. If we decide that there was not an error, we will mail you a written explanation within three (3) business days after we complete the investigation. The Service reserves the right to refuse to pay any person or entity to whom you may direct a payment. The Service is obligated to notify you promptly if it decides to refuse to pay a person or entity designated by you. This notification is not required if you attempt to pay tax payments, court related payments, or payments to illegal entities, which are prohibited under this Agreement. You agree that the Service reserves the right to obtain financial information regarding your account from a merchant or financial institution to resolve payment posting problems. In the event of a dispute regarding the Service, you and the Service agree to resolve the dispute by looking to the Agreement. You agree that this Agreement is the complete and exclusive statement of the agreement between you and the Service, which supersedes any proposal or prior agreement, oral or written, and any other communications between you and the Service relating to the subject matter of this Agreement, the terms of this Agreement shall control. The Service shall not be deemed to have waived any of its rights or remedies hereunder unless such waiver is in writing and signed by the Service. No delay or omission on the part of the Service in exercising any rights or remedies shall operate as a waiver of such rights or remedies or any other rights or remedies. A waiver on any one occasion shall not be construed as a bat or waiver of any rights or remedies on future occasions. This Agreement contains the terms and conditions for the use of Citizens Electronic Statements and Notice Disclosures that Citizens Bank of Las Cruces (“Citizens Bank”, “us,” or “we”) may provide to you (“you,” or “User”). Other agreements you have entered into with Citizens Bank, including the Depository Agreement and Disclosures governing your Citizens Bank account, are incorporated by reference and made a part of this Agreement. You have the option to receive your periodic account statements and any official Citizens Bank of Las Cruces notices relating to your account in either electronic or paper form. You can also choose to receive one of these items (statements or notices) in electronic form while receiving the other in paper form. Neither your refusal to accept electronic statements or notices from us, nor your withdrawal of a prior consent to accept electronic statements or notices, will affect your ability to obtain banking services from us. You agree that your computer system meets the hardware and software requirements stated below. If you want to keep printed versions of your statements or notices, they will be available in text (.txt) format or .pdf file format that you can view and print using Adobe ® Acrobat ® Reader. To save or print the Adobe Acrobat .pdf files you need a computer that meets Adobe's system requirements and is capable of printing and/or saving .pdf files. If you need the latest version of Adobe Acrobat Reader, it's a free download from Adobe. 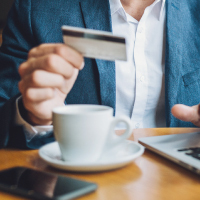 If your Online Banking is inactive for more than two years, your Online Banking is subject to deletion and your E-Statements will be discontinued. Your statements and notices will revert back to paper format and you may be subject to Paper Statement fees. If You Do Not Want Electronic Statements or Notices. You may choose not to receive statements and/or notices electronically, in which case, all official statements or notices to be delivered to you will be sent to you in paper form via the United States Postal Service at your address as reflected on our records. Withdrawing Your Consent. If you consent to receive your statements or notices electronically, but wish to withdraw your consent, you may communicate this to us either by written letter to PO Box 2108, Las Cruces, NM 88004-2108 or via secure e-mail through our Online Banking. You may withdraw your consent and change how you receive statements and notices at any time. This Agreement contains the terms and conditions for the use of Citizens Mobile Banking that Citizens Bank of Las Cruces (“Citizens Bank”, “us,” or “we”) may provide to you (“you,” or “User”). Other agreements you have entered into with Citizens Bank, including the Depository Agreement and Disclosures governing your Citizens Bank account, are incorporated by reference and made a part of this Agreement. I. Introduction: Citizens Bank of Las Cruces endeavors to provide you with the highest quality Mobile Banking (the "Service") available. By enrolling in the Service, you agree to all the terms and conditions contained in this Agreement and Disclosure (the "Agreement"). We may offer additional Mobile Banking services and features in the future. Any such added Mobile Banking services and features will be governed by this Agreement and by any terms and conditions provided to you at the time the new Mobile Banking service or feature is added and/or at the time of enrollment for the feature or service, if applicable. From time to time, we may amend these terms and modify or cancel the Mobile Banking services we offer without notice, except as may be required by Law. II. Definitions: As used in this Agreement and Mobile Banking services, the following words have the meanings given below: "Account(s)" means your eligible Citizens Bank of Las Cruces Checking, Savings, Loans, CDs, Safe Deposit Box information and other Citizens Bank of Las Cruces products that can be accessed through Mobile Banking. "Device" means a supportable mobile device including a cellular phone or other mobile device that is web-enabled and allows secure SSL traffic which is also capable of receiving text messages. Your wireless carrier may assess you fees for data or text messaging services. Please consult your wireless plan or provider for details. "Mobile Banking" means the banking services accessible from the Device you have registered with us for Mobile Banking. "You" and "Your(s)," mean each person with authorized access to your Account(s) who applies for and uses the Mobile Banking service. "We," "Us," and "Bank" means Citizens Bank of Las Cruces. A. Description of Service. Mobile Banking is offered as a convenience and supplemental service to our Online Banking services. It is not intended to replace access to Online Banking from your personal computer or other methods you use for managing your accounts and services with us. 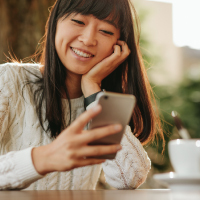 Mobile Banking allows you to access your Citizens Bank of Las Cruces account information, make payments to payees, transfer funds and conduct other banking transactions. To utilize the Mobile Banking Service, you must be enrolled to use Online Banking and then activate your Device within the Online Banking system. We reserve the right to limit the types and number of accounts eligible and the right to refuse to make any transaction you request through Mobile Banking. We may also reserve the right to modify the scope of the Service at any time. Mobile Banking may not be accessible or may have limited utility over some network carriers. In addition, the Service may not be supportable for all Devices. Citizens Bank of Las Cruces cannot guarantee and is not responsible for the availability of data services provided by your mobile carrier, such as data outages or "out of range" issues. C. Other Agreements. You agree that, when you use Mobile Banking, you remain subject to the terms and conditions of your existing agreements with any unaffiliated service providers, including, but not limited to, your mobile service provider and that this Agreement does not amend or supersede any of those agreements. You understand that those agreements may provide for fees, limitations and restrictions which might impact your use of Mobile Banking (such as data usage or text messaging charges imposed on you by your mobile service provider for your use of or interaction with Mobile Banking), and you agree to be solely responsible for all such fees, limitations and restrictions. You agree that only your mobile service provider is responsible for its products and services. Accordingly, you agree to resolve any problems with your provider directly without involving us. Any deposit account, loan or other banking product accessed through this Service is also subject to the Account Agreements and Disclosures provided at the time of Account opening. You should review the Account disclosures carefully, as they may include transaction limitations and fees which might apply to your use of Mobile Banking. D. Venue. The parties agree that, for purposes of any conflict arising under this agreement, jurisdiction and venue as to the parties for any action arising from this agreement shall be proper in Las Cruces, Dona Ana County, NM, USA. IV. Permitted Mobile Banking Transfers: You may use the Service to transfer funds between your eligible Citizens Bank of Las Cruces Accounts ("Internal Transfer"). You may not transfer to or from an Account at another financial institution using Mobile Banking. If you submit your transfer request prior to the deadline established by us for Mobile Banking transfer service, you will initiate an immediate Internal Transfer via Mobile Banking. Transfer transaction requests received after 6:00 p.m. MST on business days and all transactions which are requested on Saturdays, Sundays, or holidays on which the Bank chooses to remain closed, will be processed on the Bank's next business day. You must have sufficient funds available in the selected account at the time the transfer request is received, including any available overdraft protection. We may process transfers that exceed your available balance at our sole discretion. If we process the transfer and unless your overdraft protection is provided via an Overdraft Line of Credit, you agree to cover any overdraft amount plus any applicable fees. Federal regulations require financial institutions to limit the way withdrawals may be made from a savings or money market account. Each transfer from a savings or money market account using Mobile Banking is counted as one of the six limited transactions permitted each monthly statement cycle period, as described in the Deposit Account Agreement and Disclosures. You may be subject to fees or account conversion if you exceed the transaction limits of your Account using Mobile Banking or any other methods outlined in your Deposit Account Agreement and Disclosures. We may also limit the type, frequency and amount of transfers for security purposes and may change or impose the limits without notice, at our option. You agree to confirm the completion of each transfer in your account balance and transaction history before withdrawing transferred funds. V. Your Responsibilities: You represent and agree to the following by enrolling for Mobile Banking or by using the Service: A. Account Ownership/Accurate Information. You represent that you are the legal owner of the Accounts and other financial information which may be accessed via Mobile Banking. You represent and agree that all information you provide to us in connection with Mobile Banking is accurate, current and complete, and that you have the right to provide such information to us for the purpose of using Mobile Banking. You agree not to misrepresent your identity or your account information. You agree to keep your account information up to date and accurate. You represent that you are an authorized user of the Device you will use to access Mobile Banking. B. User Security. You agree to take every precaution to ensure the safety, security and integrity of your account and transactions when using Mobile Banking. You agree not to leave your Device unattended while logged into Mobile Banking and to log off immediately at the completion of each access by you. You agree not to provide your username, password or other access information to any unauthorized person. If you permit other persons to use your Device, login information, or other means to access Mobile Banking, you are responsible for any transactions they authorize and we will not be liable for any damages resulting to you. You agree not to use any personally identifiable information when creating shortcuts to your Account. We make no representation that any content or use of Mobile Banking is available for use in locations outside of the United States. Accessing Mobile Banking from locations outside of the United States is at your own risk. C. User Conduct. You agree not to use Mobile Banking or the content or information delivered through Mobile Banking in any way that would: (a) infringe any third-party copyright, patent, trademark, trade secret or other proprietary rights or rights of privacy, including any rights in the Software; (b) be fraudulent or involve the sale of counterfeit or stolen items, including, but not limited to, use of Mobile Banking to impersonate another person or entity; (c) violate any law, statute, ordinance or regulation (including, but not limited to, those governing export control, consumer protection, unfair competition, anti-discrimination or false advertising); (d) be false, misleading or inaccurate; (e) create liability for us or our affiliates or service providers, or cause us to lose (in whole or in part) the services of any of our service providers; (f) be defamatory, trade libelous, unlawfully threatening or unlawfully harassing; (g) potentially be perceived as illegal, offensive or objectionable; (h) interfere with or disrupt computer networks connected to Mobile Banking; (i) interfere with or disrupt the use of Mobile Banking by any other user; or (j) use Mobile Banking in such a manner as to gain unauthorized entry or access to the computer systems of others. D. No Commercial Use or Re-Sale. You agree that the Service is only for the personal or business use of individuals authorized to access your account information. You agree not to make any commercial use of Mobile Banking or resell, lease, rent or distribute access to Mobile Banking. E. Indemnification. Unless caused by our intentional misconduct or gross negligence, you agree to indemnify, defend and hold harmless Citizens Bank of Las Cruces, its affiliates, officers, directors, employees, consultants, agents, service providers, and licensors from any and all third party claims, liability, damages, expenses and costs (including, but not limited to, reasonable attorneys' fees) caused by or arising from (a) a third party claim, dispute, action, or allegation of infringement, misuse, or misappropriation based on information, data, files, or otherwise in connection with the Service; (b) your violation of any law or rights of a third party; or (c) your use, or use by a third party, of Mobile Banking. This Agreement contains the terms and conditions for the use of Citizens Mobile Deposit that Citizens Bank of Las Cruces (“Citizens Bank”, “us,” or “we”) may provide to you (“you,” or “User”). Other agreements you have entered into with Citizens Bank, including the Depository Agreement and Disclosures governing your Citizens Bank account, are incorporated by reference and made a part of this Agreement. 1. Services. Citizens Mobile Deposit (“Services”) are designed to allow you to make deposits to your checking, savings, or money market accounts from home or other remote locations by scanning checks using your smart phone and our iPhone™ or Android™ application software to deliver the images and associated deposit information to Citizens Bank or Citizens Bank’s designated processor. There are no recurring or transaction charges for using this service. 3 checks per day, not to exceed $1,000 per day. 10 checks per month, up to $2,000 per month. Limits may be adjusted per customer request, subject to Bank approval. Mobile Deposits that are ‘Approved’ by 4:00 PM Mountain time will be credited the same banking business day. Mobile Deposits that are ‘Approved’ after 4:00 PM Mountain time will be credited the next banking business day. Please be aware that Mobile Deposits are not processed on weekends and Federal Holidays. Pricing and item limits are subject to change as noted in the bank’s Schedule of Fees. Wireless connectivity and usage rates may apply. Contact your wireless service provider for more details. 2. Acceptance of these Terms. Your use of the Services constitutes your acceptance of this Agreement. This Agreement is subject to change from time to time. Your continued use of the Services will indicate your acceptance of the revised Agreement. Further, Citizens Bank reserves the right, in its sole discretion, to change, modify, add, or remove portions from the Services. Your continued use of the Services will indicate your acceptance of any such changes to the Services. i. Checks or items prohibited by Citizens Bank’s current procedures relating to the Services or which are otherwise not acceptable under the terms of your Citizens Bank account. 5. Image Quality. The image of an item transmitted to Citizens Bank using the Services must be legible. The image quality of the items must comply with the requirements established from time to time by ANSI, the Board of Governors of the Federal Reserve Board, or any other regulatory agency, clearing house or association. 6. Endorsements and Procedures. You agree to restrictively endorse any item transmitted through the Services as “For deposit only, Citizens Bank account #______” or as otherwise instructed by Citizens Bank. You agree to follow any and all other procedures and instructions for use of the Services as Citizens Bank may establish from time to time. 7. Receipt of Items. We reserve the right to reject any item transmitted through the Services, at our discretion. In the event we reject any item pursuant to this paragraph there will be no fee charged to you pursuant to the provisions of paragraph 1 above for that item which is rejected. We are not responsible for items we do not receive or for images that are dropped during transmission. An image of an item shall be deemed received when you receive a confirmation from Citizens Bank that we have received the image. Receipt of such confirmation does not mean that the transmission was error free or complete. 8. Availability of Funds. You agree that items transmitted using the Services are not subject to the funds availability requirements of Federal Reserve Board Regulation CC. Funds deposited using the Services will be available after Citizens Bank receives payment for the funds submitted. Citizens Bank may make such funds available sooner based on such factors as credit worthiness, the length and extent of your relationship with us, transaction and experience information, and such other factors as Citizens Bank, in its sole discretion, deems relevant. 9. Disposal of Transmitted Items. Upon your receipt of a confirmation from Citizens Bank that we have received the image of an item, you agree to prominently mark the item as “Electronically Presented” or “VOID” and to properly dispose of the item after two business days to ensure that it is not re-presented for payment. And, you agree never to re-present the item. You will promptly provide any retained item, or a sufficient copy of the front and back of the item, to Citizens Bank as requested to aid in the clearing and collection process, to resolve claims by third parties with respect to any item, or for Citizens Bank’s audit purposes. 11. Hardware and Software. In order to use the Services, you must obtain and maintain, at your expense, compatible hardware and software as specified by Citizens Bank from time to time. Citizens Bank is not responsible for any third party software you may need to use the Services. Any such software is accepted by you as is and is subject to the terms and conditions of the software agreement you enter into directly with the third party software provider at time of download and installation. 12. Errors. You agree to notify Citizens Bank of any suspected errors regarding items deposited through the Services right away, and in no event later than 60 days after the applicable Citizens Bank account statement is sent. Unless you notify Citizens Bank within 60 days, such statement regarding all deposits made through the Services shall be deemed correct, and you are prohibited from bringing a claim against Citizens Bank for such alleged error. 13. Presentment. The manner in which the items are cleared, presented for payment, and collected shall be in Citizens Bank’s sole discretion subject to the Depository Agreement and Disclosures governing your account. 14. Ownership & License. You agree that Citizens Bank retains all ownership and proprietary rights in the Services, associated content, technology, and website(s). Your use of the Services is subject to and conditioned upon your complete compliance with this Agreement. Without limiting the effect of the foregoing, any breach of this Agreement immediately terminates your right to use the Services. Without limiting the restriction of the foregoing, you may not use the Services (i) in any anti-competitive manner, (ii) for any purpose which would be contrary to Citizens Bank’s business interest, or (iii) to Citizens Bank’s actual or potential economic disadvantage in any aspect. You may not copy, reproduce, distribute or create derivative works from the content and agree not to reverse engineer or reverse compile any of the technology used to provide the Services. 15. DISCLAIMER OF WARRANTIES. YOU AGREE YOUR USE OF THE SERVICES AND ALL INFORMATION AND CONTENT (INCLUDING THAT OF THIRD PARTIES) IS AT YOUR RISK AND IS PROVIDED ON AN “AS IS” AND “AS AVAILABLE” BASIS. WE DISCLAIM ALL WARRANTIES OF ANY KIND AS TO THE USE OF THE SERVICES, WHETHER EXPRESS OR IMPLIED, INCLUDING, BUT NOT LIMITED TO, THE IMPLIED WARRANTIES OF MERCHANTABILITY, FITNESS FOR A PARTICULAR PURPOSE AND NON-INFRINGEMENT. WE MAKE NO WARRANTY THAT THE SERVICES (i) WILL MEET YOUR REQUIREMENTS, (ii) WILL BE UNINTERRUPTED, TIMELY, SECURE, OR ERROR-FREE, (iii) THE RESULTS THAT MAY BE OBTAINED FROM THE SERVICE WILL BE ACCURATE OR RELIABLE, AND (iv) ANY ERRORS IN THE SERVICES OR TECHNOLOGY WILL BE CORRECTED. 16. LIMITATION OF LIABILITY. YOU AGREE THAT WE WILL NOT BE LIABLE FOR ANY DIRECT, INDIRECT, INCIDENTAL, SPECIAL, CONSEQUENTIAL OR EXEMPLARY DAMAGES, INCLUDING, BUT NOT LIMITED TO, DAMAGES FOR LOSS OF PROFITS, GOODWILL, USE, DATA OR OTHER LOSSES RESULTING FROM THE USE OR THE INABILITY TO USE THE SERVICES INCURRED BY YOU OR ANY THIRD PARTY ARISING FROM OR RELATED TO THE USE OF, INABILITY TO USE, OR THE TERMINATION OF THE USE OF THESE SERVICES, REGARDLESS OF THE FORM OF ACTION OR CLAIM (WHETHER CONTRACT, TORT, STRICT LIABILITY OR OTHERWISE), EVEN IF CITIZENS BANK HAS BEEN INFORMED OF THE POSSIBILITY THEREOF. d. You will not deposit or re-present the original item. e. All information you provide to Citizens Bank is accurate and true. You agree to indemnify and hold harmless Citizens Bank from any loss for breach of this warranty provision. 18. Other terms. You may not assign this Agreement. This Agreement is entered into in New Mexico, and shall be governed by the laws of the State of New Mexico and of the United States. A determination that any provision of this Agreement is unenforceable or invalid shall not render any other provision of this Agreement unenforceable or invalid. This Agreement contains the terms and conditions for the use of our Bank-to-Bank Transfer Service that Citizens Bank of Las Cruces (“Citizens Bank”, “us,” or “we”) may provide to you (“you,” or “User”) for the purpose of transferring funds between your designated Citizens Bank account(s) and your designated account(s) at other financial institutions on which you are an authorized signer. Use of the Bank Transfer service explicitly implies that you are a designated signer on the account(s) at the other financial institutions. Other agreements you have entered into with Citizens Bank, including the Depository Agreement and Disclosures governing your Citizens Bank account, are incorporated and made a part of this Agreement. You may use Citizens Bank’s Bank Transfer service, to direct us to transfer funds from your designated Citizens Bank checking and savings account(s) to your designated account(s) at other U.S. financial institutions you choose in accordance with this agreement. The terms and conditions of this agreement are in addition to the account agreements, disclosures and other documents in effect governing your account. Bank Transfers must be based on collected funds and your Citizens Bank designated account(s) must be in good standing. Overdrafts and returned transfers may cause this service to be terminated. Citizens Bank reserves the right to refuse the designation of any accounts for any reason. You may transfer funds to any financial institution within the United States (including U.S. territories and APO’s / AEO’s). Citizens Bank is not responsible for transfers that cannot be made due to incomplete, incorrect, or outdated information. SERVICE FEES: Bank Transfers (per transaction): $2.00, including tax. Other miscellaneous charges may apply: ACH return fee, per item: $6.00, including tax. Pricing and fees charged are subject to change and noted in the bank’s Schedule of Fees. INITIAL SETTINGS: Our Bank Transfer service will allow the following, by default: • Maximum external accounts: 4 • Daily Inbound Transfers: 5 per day • Daily inbound dollar limit: $2,000 per day, all transactions. • Daily outbound Transfers: 5 per day • Daily outbound dollar limit: $2,000 per day, all transactions. To request limit changes, please contact one of our Officers or Sales Associates. THE BANK TRANSFER PROCESS: Transfer requests will be processed on bank business days (generally Monday through Friday, except certain Federal holidays) that you designate as the transfer’s processing date, provided the transfer request is submitted prior to the daily cut-off time on that date. The daily cutoff time is currently 2:30 PM Mountain Time. Citizens Bank reserves the right to modify the cutoff time from time to time. Transfer requests submitted after the cut-off time on the designated process date will be processed on the next business day. If you designate a non-business date (generally weekends and certain Federal holidays) as the transfer’s processing date, the transfer will be processed on the first business day following the designated processing date. CANCELLING A TRANSFER: A transfer can be changed or cancelled any time prior to the cut-off time on the scheduled processing date. AVAILABLE FUNDS: Collected funds must be available in your checking or savings account at the time your transfer is scheduled. Citizens Bank reserves the right to cancel and reverse your transfer on the basis of collected funds availability. LIABILITY: You are solely responsible for controlling the safekeeping of and access to your Personal Identification Number (PIN). You will be responsible for any transfer request you make that contains an error or is a duplicate of another transfer. Citizens Bank is not responsible for a transfer that is not made if you did not properly follow the instructions for making the transfer. Citizens Bank is not liable for any failure to make a transfer if you fail to promptly notify the bank after you learn that you have not received credit at the designated financial institution. Citizens Bank is not responsible for your acts or omissions or those of any other person, including, without limitation, any transmission or communications facility, and no such party shall be deemed to be the bank’s agent. AMENDMENT: Citizens Bank has the right to change this agreement at any time by notice mailed to you at the last address shown for the account on our records, by posting notice in branches of the bank, or as otherwise permitted by law. TERMINATION: Citizens Bank has the right to terminate this agreement at any time. You may terminate this agreement by written notice to us. Citizens Bank is not responsible for transfers made before we have a reasonable opportunity to act on your termination notice. You remain obligated for any transfers made by Citizens Bank on your behalf. This Agreement contains the terms and conditions for the use of Citizens Person-to-Person Payment Service that Citizens Bank of Las Cruces (“Citizens Bank”, “us,” or “we”) may provide to you (“you,” or “User”). "Payees" means anyone you designate to receive payments. Other agreements you have entered into with Citizens Bank, including the Depository Agreement and Disclosures governing your Citizens Bank account, are incorporated by reference and made a part of this Agreement. You may use Citizens Bank’s Person-to-Person Payment service, to direct us to make payments from your designated checking account to the “Payees” you choose in accordance with this agreement. The terms and conditions of this agreement are in addition to the account agreements, disclosures and other documents in effect governing your account. Citizens Bank reserves the right to refuse the designation of any “Payees” for any reason. You may pay any “Payees” within the United States (including U.S. territories and APO’s / AEO’s). Citizens Bank is not responsible for payments that cannot be made due to incomplete, incorrect, or outdated information. Pricing and fees charged are subject to change and noted in the bank’s Schedule of Fees. THE PERSON-TO-PERSON PAYMENT PROCESS: Payments will be processed on the business day (generally Monday through Friday, except certain holidays) that you designate as the payment’s processing date, provided the payment is submitted prior to the daily cut-off time on that date. The daily cut-off time is currently 2:00 PM Mountain Time. Citizens Bank reserves the right to modify the cut-off time pursuant to the procedure found in amendment hereinafter. Payments submitted after the cut-off time on the designated process date will be processed on the next business day. If you designate a non-business date (generally weekends and certain holidays) as the payment’s processing date, the payment will be processed on the first business day following the designated processing date. CANCELLING A PAYMENT: A payment can be changed or cancelled any time prior to the cutoff time on the scheduled processing date. AVAILABLE FUNDS: Collected funds must be available in your checking account at the time your payment is scheduled. Citizens Bank reserves the right to cancel and reverse your payment on the basis of collected funds availability. LIABILITY: You are solely responsible for controlling the safekeeping of and access to your Personal Identification Number (PIN). If you want to terminate another person's authority to use the service, you must notify Citizens Bank and arrange to change your PIN. You will be responsible for any payment request you make that contains an error or is a duplicate of another payment. Citizens Bank is not responsible for a payment that is not made if you did not properly follow the instructions for making a payment. Citizens Bank is not liable for any failure to make a payment if you fail to promptly notify the bank after you learn that you have not received credit from a “Payee” for a payment. Citizens Bank is not responsible for your acts or omissions or those of any other person, including, without limitation, any transmission or communications facility, and no such party shall be deemed to be the bank’s agent. TERMINATION: Citizens Bank has the right to terminate this agreement at any time. You may terminate this agreement by written notice to us. Citizens Bank is not responsible for any fixed payment made before we have a reasonable opportunity to act on your termination notice. You remain obligated for any payments made by Citizens Bank on your behalf.